Friendly ReadiGrass is made exclusively from our own fields in the heart of Yorkshire and offers a delicious fibre source to keep your small animal healthy. 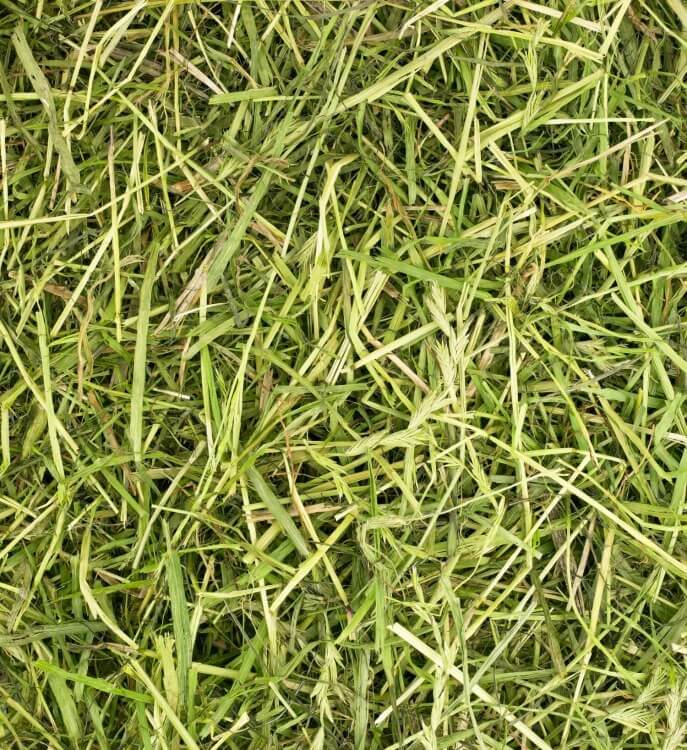 Our drying process removes only the water – keeping the natural flavour, wonderful smell, colour and high nutrient value of fresh grass. 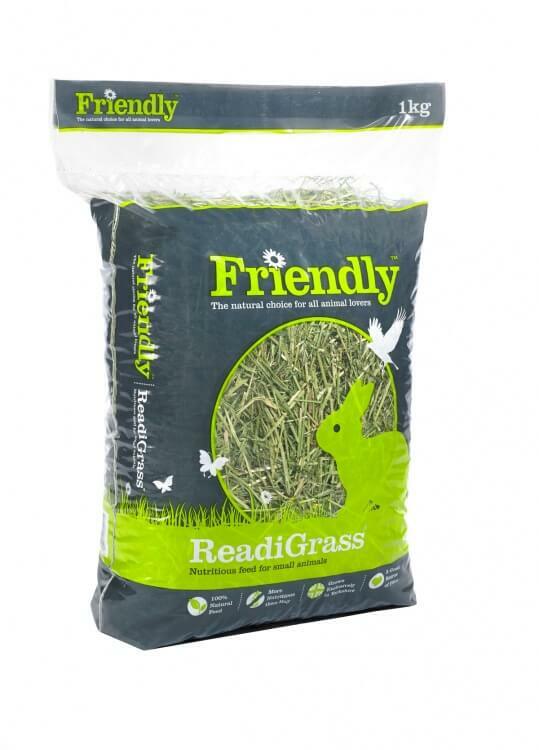 Friendly ReadiGrass is great for stimulating appetite and is tempting even to the fussiest of feeders. It is packed with all the essential nutrients that will keep your pet in tip-top condition. 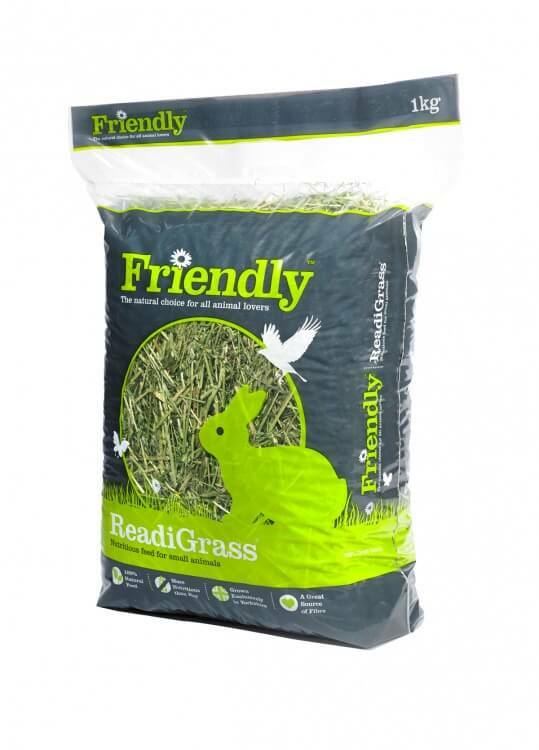 Friendly ReadiGrass is available to purchase in 1kg bags and is available to purchase both online or through one of our stockists. 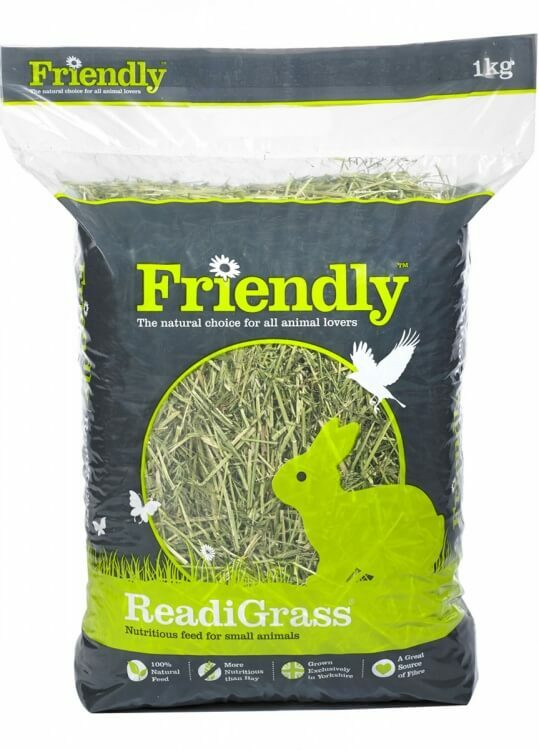 I use both the readigrass and the Timothy hay - they are both excellent - my guinea pigs love it, also I noticed when I bought other hay it made them sneeze, Friendship’s readigrass and Timothy hay does not do this. Also I find it very clean and dust free and makes my life easier too when cleaning them out. So I highly recommend it ... also one of my guinea pigs is now 7 years old which is very old for a guinea pig and she has the shiniest coat and runs around so it must be good!